After the Santa Fe High School shooting in May, pro-gun student activists who making up the "March For Our Rights" group sent Texas Gov. Greg Abbott (R) a letter thanking him for protecting the Second Amendment. We are a group of pro-Second Amendment Texan students who are writing to ensure that our viewpoint is considered when public policy to protect our schools is drafted and debated. We want to make sure you know we don’t agree with billionaire Michael Bloomberg or any of the gun control organizations and activities that he financially supports. And we don’t want laws that only punish law-abiding gun owners and criminals will ignore. Criminals will keep breaking laws and we will remain unprotected. A Bloomberg-affiliated group recently took out an ad in the Houston Chronicle, criticizing you and Texas lawmakers for supporting pro-Second Amendment policies and for rejecting their misguided gun control schemes. While we might lack the ability to finance a similar response, we do have a voice. We are students of Texas and we want our parents, our teachers, and our law enforcement officers to have a voice in making our schools safer, not the gun control lobby. We are tired of these organizations exploiting tragedies to justify their call for more restrictions on our rights. We are fed-up with them using terms like “safety” and "common sense" as smoke screens for their efforts to disarm honest people. We need less of their anti-Second Amendment rhetoric and more focus on actual school safety solutions. Over 300 people signed the letter to Abbott. They also mailed their own copy of the letter to the Texas governor to make sure they knew how many people stood with him. It was important for these young people to let a politician know that not all Millennials are gun control advocates. Thank you for writing to my office. Hearing from young Texans is one of the best parts of my job, and I appreciate your sharing your thoughts on such an important issue as our Second Amendment rights. As you know, I am an outspoken supporter of our constitutionally guaranteed right to gun ownership, which was ensured by our Founding Fathers in the Second Amendment in the US Constitution. Throughout my career, I have defended our right to keep and bear arms and will continue to ensure Texans enjoy this right — a right that is a reflection of the individual liberty we hold dear. While I oppose efforts to weaken our Second Amendment, I take gun crime very seriously. I will carefully consider all strategies consistent with the Second Amendment that can prevent gun crimes in schools through responsible criminal justice, mental health, and firearm safety precautions. In the wake of the tragic shooting at Santa Fe High School, I introduced my School And Firearm Safety Action Plan. Among the proposals generated from recent roundtable discussions on school safety are creating a statewide case management system to provide court magistrates immediate access to critical information and to speed up reporting of court records for federal background checks; encouraging Texas Senate and House leaders to issue an interim charge to consider the merits of adopting a law allowing law enforcement, a family member, school employee or district attorney to file a petition seeking the removal of firearms from a potentially dangerous person only after legal due process is provided and only on a temporary basis; mandating a 48-hour reporting period to close gaps in federally mandated background checks; improving Texas' gun storage law; promoting voluntary use of gun locks; and requiring that gun owners report when their firearms are lost or stolen within 10 days. Gun owners is one of our fundamental rights, and one that shall not be infringed. 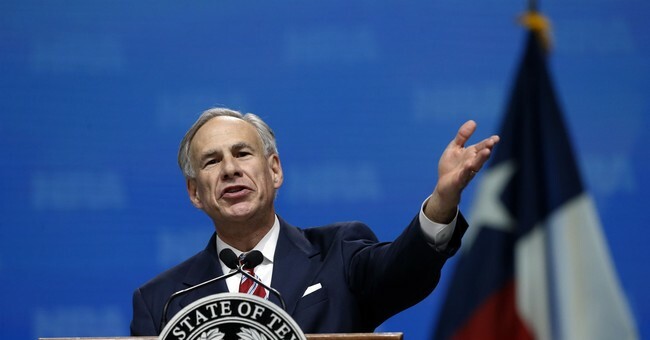 And as governor, the safety and security of Texas' citizens is my top priority. Working together, we can protect both our constitutional rights and our citizens' safety. I encourage you to always make your voice heard on issues that are important to you. Civic participation by individuals of all ages is a vital part of our system of government and the liberty it preservers. The group shared the experience on their group Facebook page and explained the importance of grassroots efforts, like marching and protesting. "Unlike many big name activists, we didn't start with a YouTube video or tweet that went viral, we didn't start our organization as a reaction to a catastrophic event, and we didn't have the backing of other key political players," the group said, clearly referencing the Parkland students who founded the March For Our Lives campaign. "We didn't have Fox News contacts or a press list at our fingertips." The pro-gun students who make up the March For Our Rights group are the future of the Second Amendment. They're doing the groundwork that so many are unable or unwilling to do. Their marches matter. Their letters matter. Letters like the one Abbott sent are what our youth needs to keep the fire and momentum going.